Duo Efflorescence, has been created by ’Anais constans (Soprano) and Benjamin Carré (piano), at the Conservatoiry of Toulouse in Octobre 2010. They both met at the French melody course, organized by Gabriel Bacquier and Susan Manoff, and then started to work on repertoire. With a natural complicity, Anais and Benjamin work together with french coachs Eloise Urbain and Jacques Schwarz , then with Ivan Domzalski, artistic director at the Marseille opera’s school. In January 2014, they will have their recital debut in Paris on the stage of the “Petit Palais”, near champs Elysées. 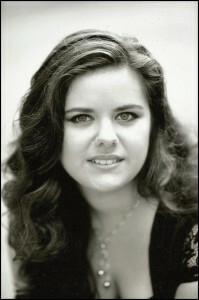 Born in 1988, Anaïs Constans is native of Montauban (Tarn et Garonne) She approaches the singing with Béatrice Viliare. Then after a passage to the Academy of Montauban, she studies to the Academy of Toulouse. In June, 2011, she obtains her diploma in singing of the academy of Toulouse and a Bachelor of musicology. She will pursue her vocational training in the CNIPAL (national Center of occupational integration of opera singer) in Marseille during two consecutive seasons 2011/2012 and 2012/2013. At present, she pursues her professional vocal training with Claudine Ducret. She integrated for several years the company of the Tower Brunehaut within the framework of the festival of the castles of Bruniquel, the festival dedicated to Offenbach supervised by Jean Christophe Keck. In February, 2012, it was Une Voix in La chartreuse de Parme of Sauguet in the opera of Marseille under the direction Lawrence Foster, in Renée Auphan’s direction. In February, 2013, it was Le Feu in L’enfant et les sortilèges of Ravel to the theater of the Capitole of Toulouse under the direction Christophe Larrieu, in Alexandre Camerlo’s direction. The mass of children of Rutter, Carmina Burana d’ Orff supervised by Michel Piquemal, By Myrjam Siegesgesanges de Schubert, The armed man of Jenckins, Oratorio of the ascent of Bach, Die Schöpfung of Haydn. During the season 2013/2014, it will be Miss Ellen in Lakmé de Delibes in saint Etienne’s opera; Pauline in La vie parisienne of Offenbach in the opera of Toulon; Pisana in I Due Foscari of Verdi to the theater of the Capitole in Toulouse. In 2012, she wins 1st Prize French Melody and 2è Price Operated in the International Competition of Marmande; 3è Grand Prix woman and the Price (of the Public in the International Competition of the Capitole in Toulouse.